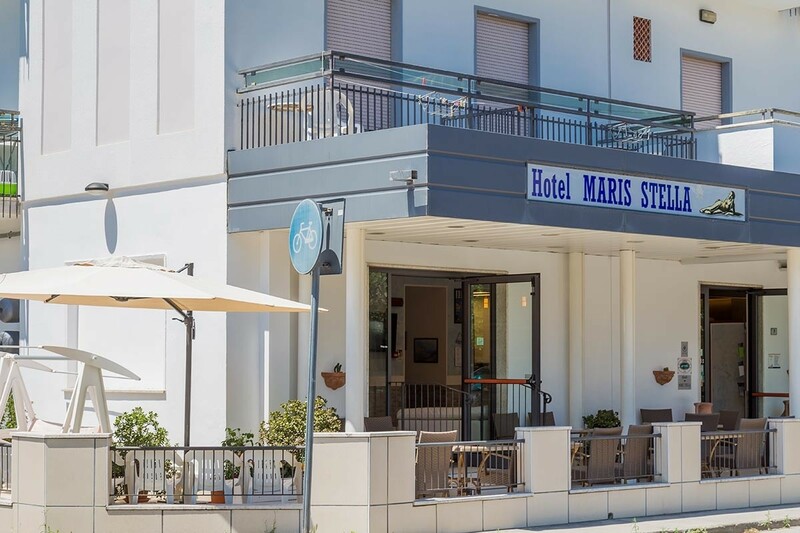 Marano Beach is the beach with the hotel Maris Stella, one of the most equipped of Riccione offering relaxation experiences to 360°. In addition to sunbeds and umbrellas available to customers, at Marano Beach you will find a number of amenities perfect for relaxation, such as the Turkish bath, the frigidarium, a foot path and bath salt. 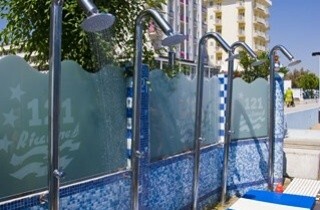 The pools andJacuzzi allow you to refresh and bathe every day, even when the sea is a bit choppy; those who want an active vacation and full of energy can take advantage of sports fields and a small gym. Thanks to this wonderful beach, the vacation at Maris Stella becomes a true wellness experience. 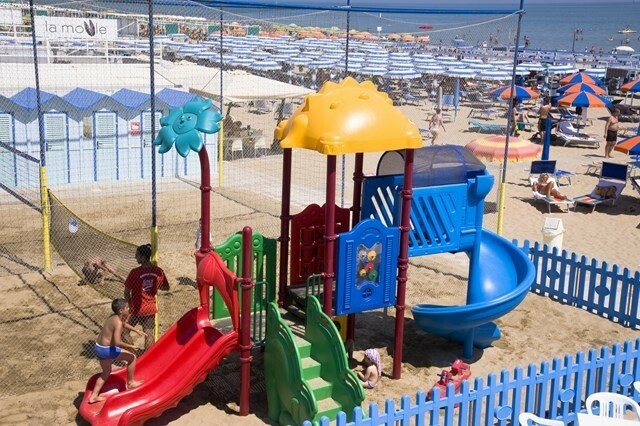 Younger children may be entrusted to the games of youth or have fun in the heated pools, playground, soccer field and beach volley court tailored to them. 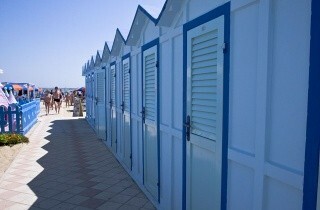 Thanks to the convenient baby point parents can relax and enjoy the sea in peace. Every day the staff of professional animators of the Marano Beach organizes moments of the game, sporting challenges and fun initiatives such as Nutella Party, involving and entertaining children of all ages. 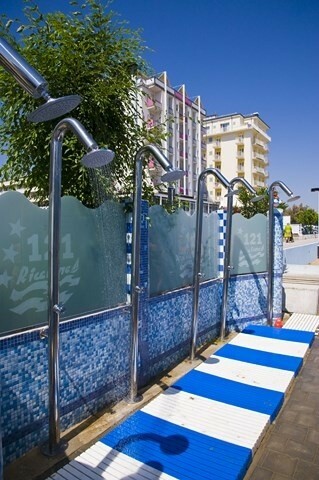 Available Jacuzzi, Turkish bath and many other amenities for relaxation. Keep up to date on all the offers and news!